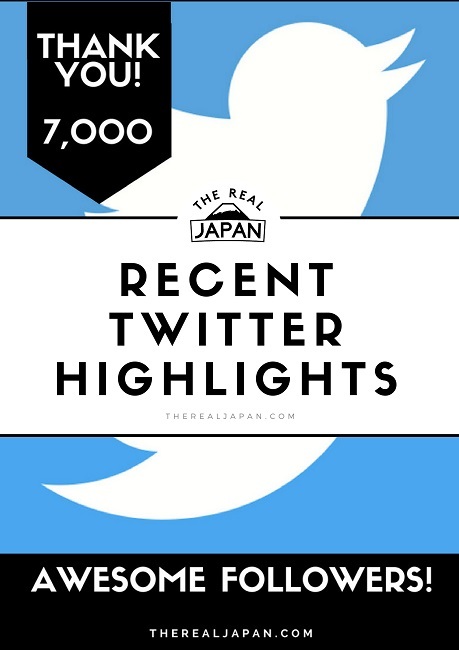 The last few weeks on Twitter have seen some major engagement (and milestones) for The Real Japan. It’s not only thanks to an ever growing number of you joining my community of like-minded Japan travellers, but just how active you are. Which is great to see! A nice place to start. 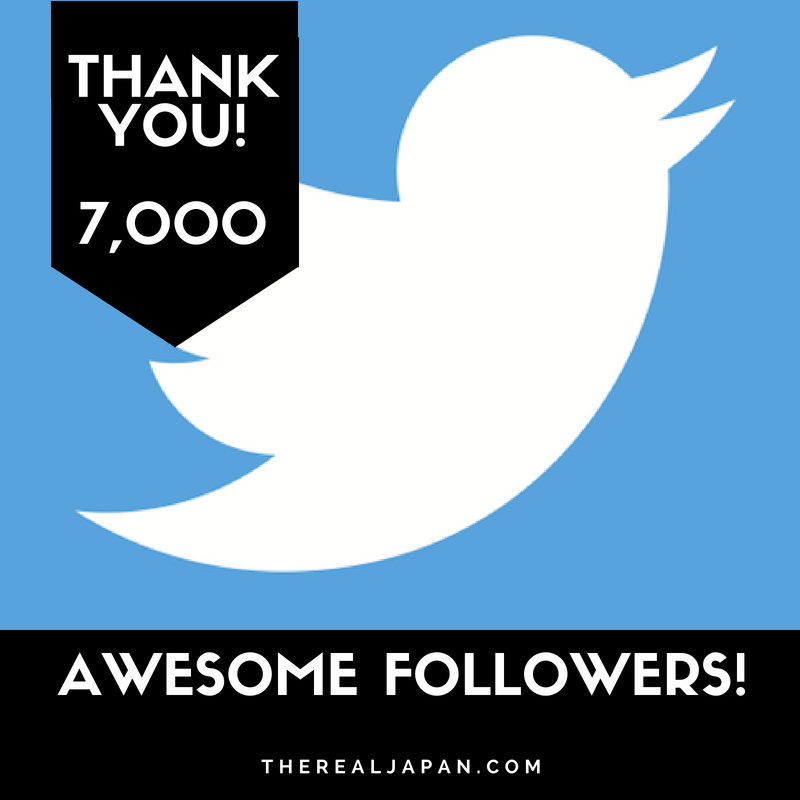 My big milestone recently was reaching 7,000 followers on Twitter. 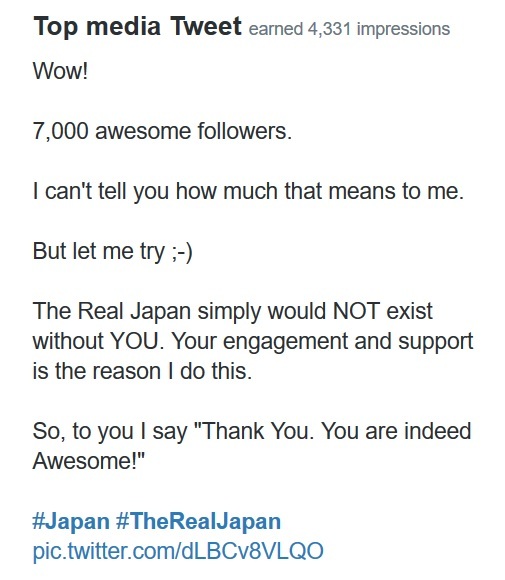 As I said in my post at the time The Real Japan simply would NOT exist without YOU. Your engagement and support is the reason I do this. Every season is festival (matsuri) season somewhere in Japan. 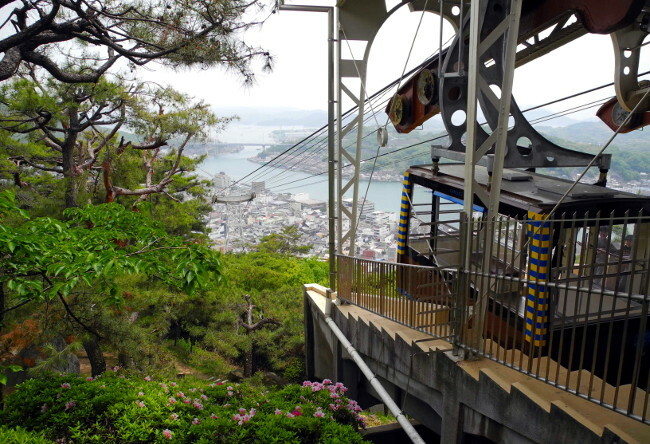 But summer rules supreme as the #1 season for all kinds of matsuri across the country. So an upturn in the number of tweets about them is to be expected as the heat begins to rise. This tweet is about the ten thousand lanterns at the Akita Kanto Matsuri. 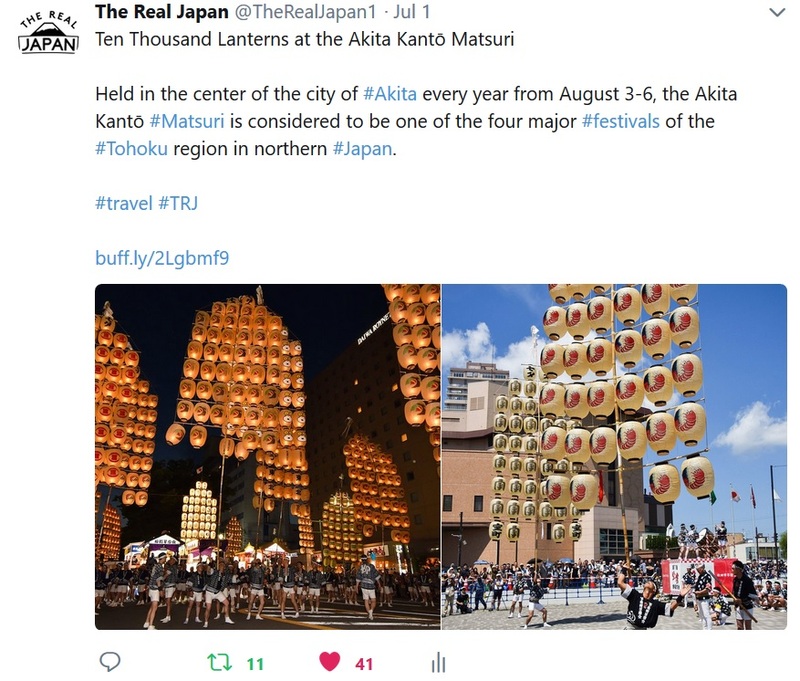 It featured two contrasting day and night photos of the huge lantern trees carried through the streets of this Tohoku region city in northern Japan. Easy to see why it got repeatedly retweeted as the days passed. 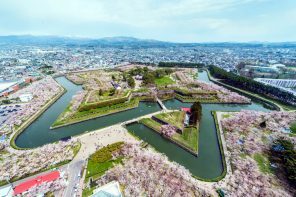 Visit Akita and join the Akita Kanto Festival! 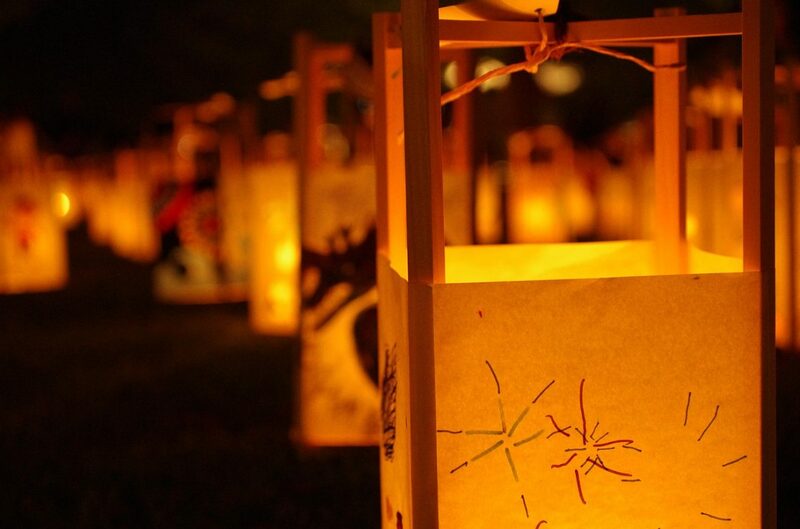 Feel the spirits of Akita Kanto Festival while enjoying the great view of the paper lanterns! 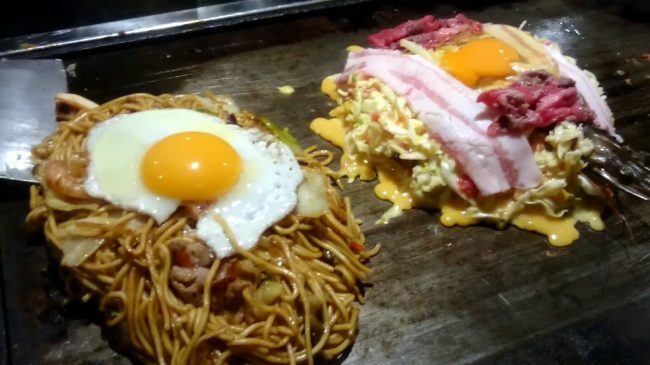 Although The Real Japan is primarily a travel and lifestyle community, I know that anything odd or cute is likely to appeal to many of my followers. So, you will find me posting things like this from time to time. 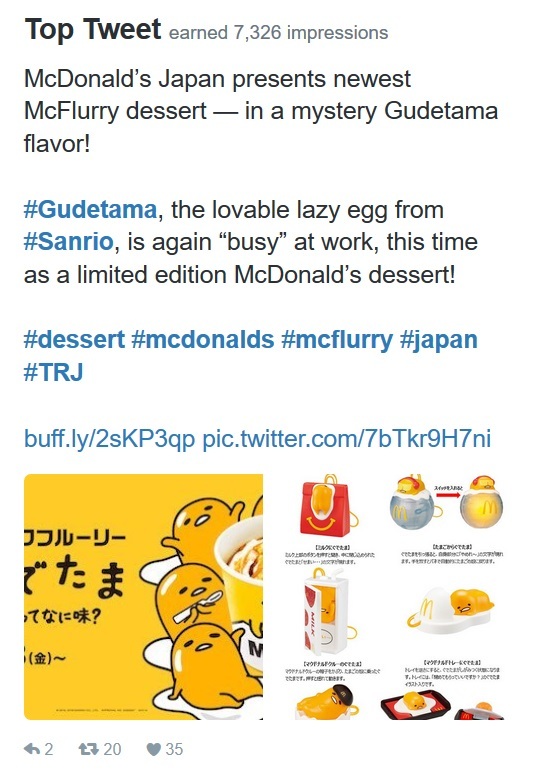 ;-) It’s spot as my Top Tweet last month is probably due to the fact that Gudetama is both odd and cute! 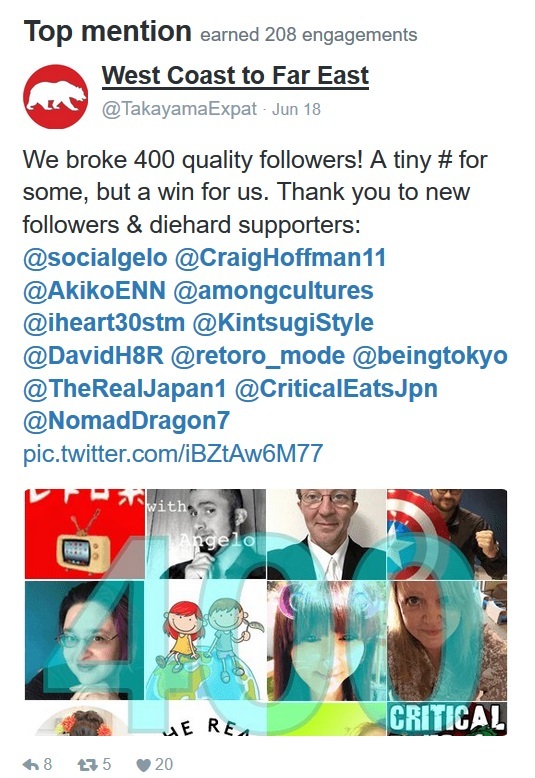 Our Top Mention was in this tweet from @TakayamaExpat. He too was celebrating reaching a Twitter following goal. The West Coast to Far East blog documents the journey of one family’s relocation from Hollywood, California to the Japanese countryside. I’m an avid follower and I recommend you check out his website and Twitter account. 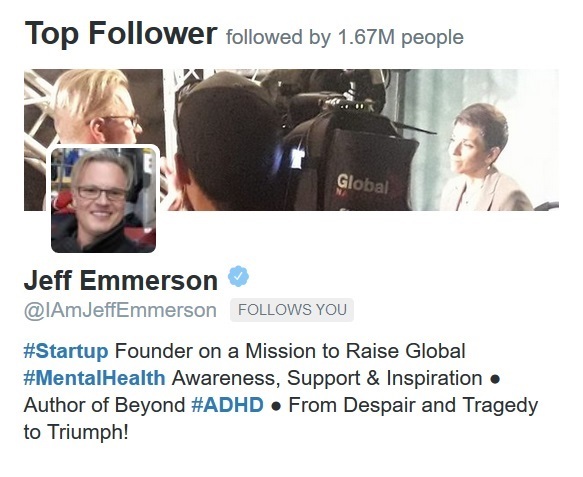 My recent Top Follower is startup founder Jeff Emmerson. Thanks Jeff! Jeff is followed by more than 1.67m people, which I think is a record for me so far. Jeff is a mental health and personal development speaker and Global Mental Health Advocate and co-author of the book Beyond ADHD. You can learn more about Jeff on his website HERE. Enjoyed this article? Please share this image! If you’re not yet following me on Twitter, it would mean a lot to me if you connected – CLICK HERE (@TheRealJapan1). I recommend following the West Coast to Far East blog. Follow Jeff Emmerson on Twitter HERE. 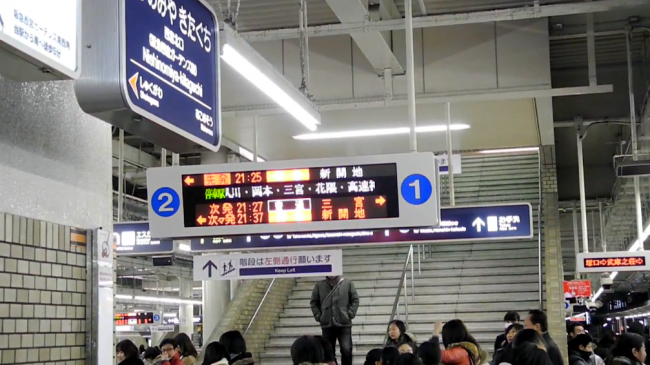 Check out my latest selection of Japan Travel Tours & Experiences.